The Beast of Gevaudan was one the first serial killers recorded in the world’s history. 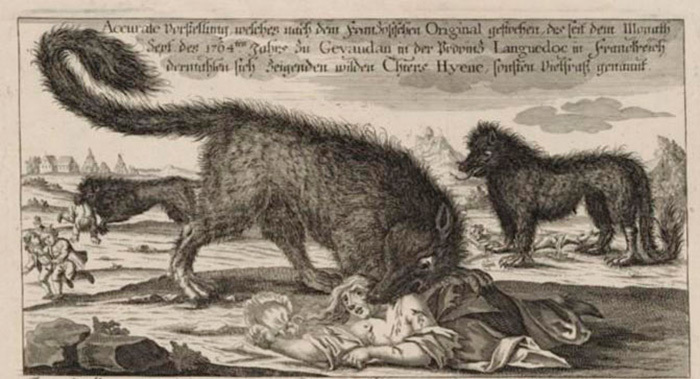 This animal, or demon as some may recognize, was double the size of a normal wolf and had many ways that were different from the way it lived and hunted. This beast terrorized the south-central mountains of France for years before they “killed” it. The story goes back to the first recorded sighting in 1764. There were many distinct features on the beast which included: sharp long teeth, coarse black hair, and a very massive body. This animal was the perfect killing machine, its body was perfectly made to survive in the mountains of France which is also a factor of why it took so long for them to “kill” the beast. Many victims had their lives taken by this beast and only some were lucky enough to live another day after the encounter with the beast. There were many ways the citizens of France could tell if the beast of Gevaudan had struck or not. The beast usually only attacked women and children. Their bodies would be found sometimes unclothed, or with their throats ripped out, and in many of the cases their bodies would drained of blood. This caused many of the people to say “werewolf” or even “demon”. The beast had taken over 200 lives while it made its way through France. Many of the people became outraged by the animal and started to go out and hunt the beast. They would begin to cover the land in small groups. Then soon as time passed the searches became large parties of men, and soon after that a whole army of men began to search for the beast. The beast even got the attention of King Louis XV who sent much of his army to find and kill the beast. The search went on for a while and many rewards were offered for the capture of the beast. During the search for the beast, there were hundreds of wolves were massacred. The population of the wolves were troubled in that area after this. The reason of the killing of the wolves was thought that they could have also been apart of the murders as well and not just the beast alone. In 1767, the beast disappeared around the middle of that year. Many say that the vast amount of poisoned carcasses are what drove the beast out the area. There were no more reports or sighting of the animal after that year. Many people today struggle, including myself, to grasp if this creature actually existed or not. This could’ve easily been a rather large wolf that people could’ve mistaken as a werewolf simply because of its size in general. The blood being drained from their bodies was another factor of the werewolf conspiracy. The only facts that are truly held firm are that people were dying in large numbers and in a span of three years without any explanation. The victims were obviously attacked and killed viciously with evidence of it being an animal. Many will never know if the beast did really exist or if this was simply an overgrown wolf. All we know for sure is the murders stopped in 1767 and did not continue. theCajun Cutthroat. 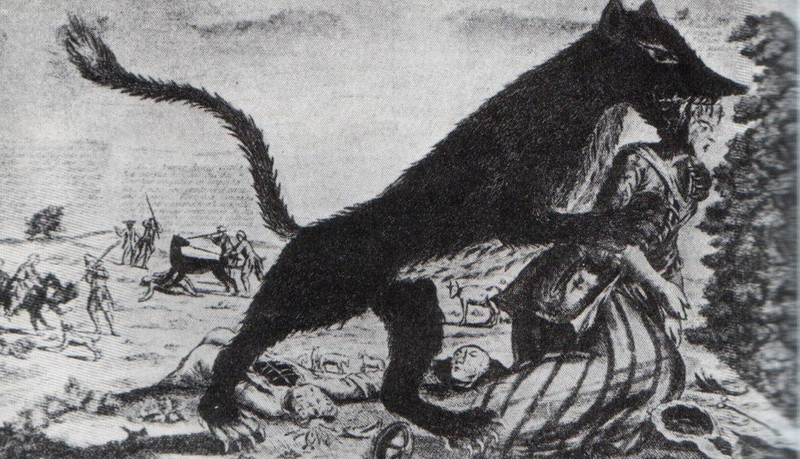 The Beast of Gevaudan-The True Story. 18 November 2011. Youtube.